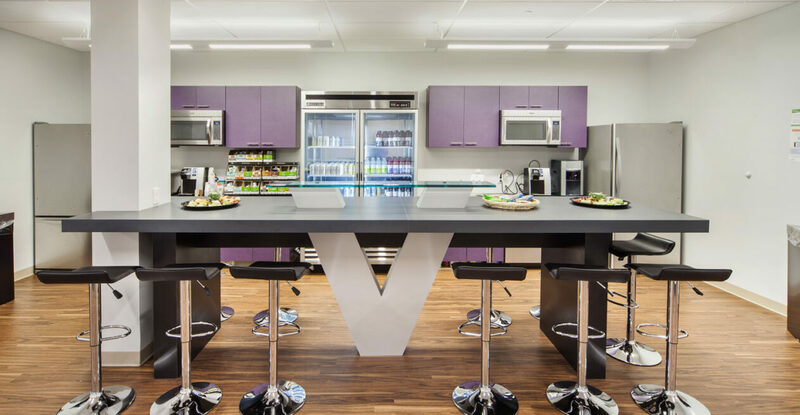 Vital's Corporate Headquarters | Unity Construction Services, Inc. 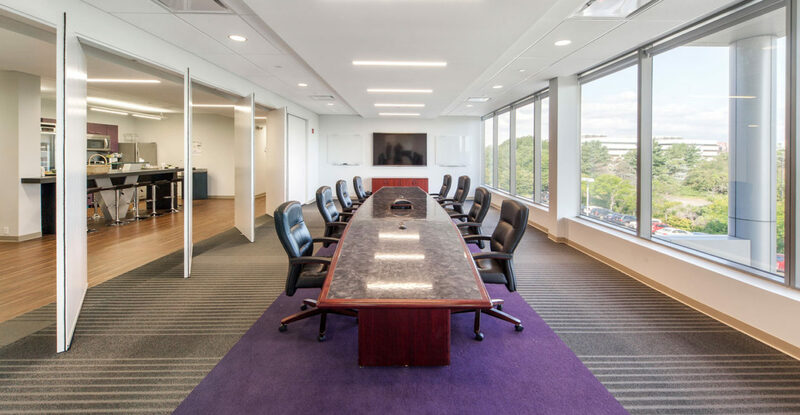 Unity completed the renovation of Vital’s new corporate headquarters in Lyndhurst, New Jersey. 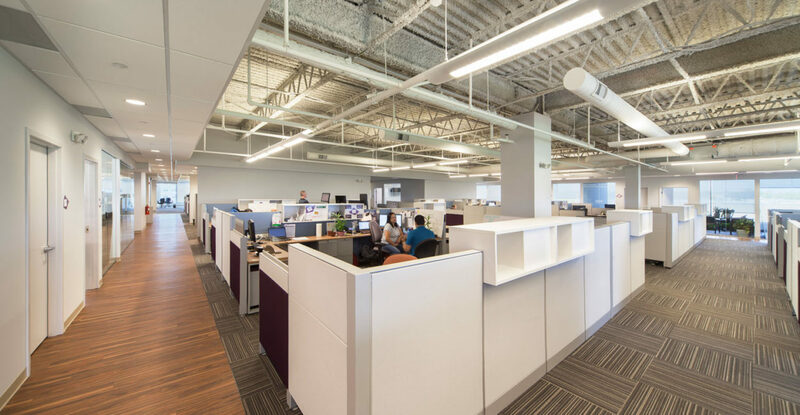 The 10-week project consisted of an open floor plan featuring a painted exposed ceiling, new spiral ductwork and direct/indirect pendant light fixtures. 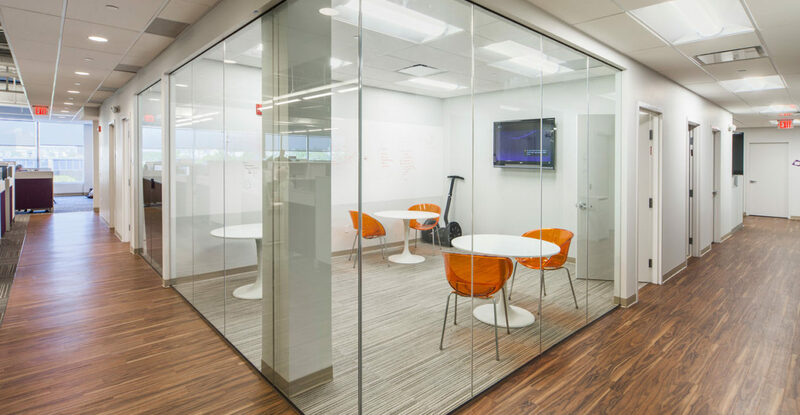 The surrounding executive offices were built with full height glass panels, allowing natural light to enter the space. The new boardroom featured full height pivot doors which open into the café, accentuated by the Vitals-inspired island.